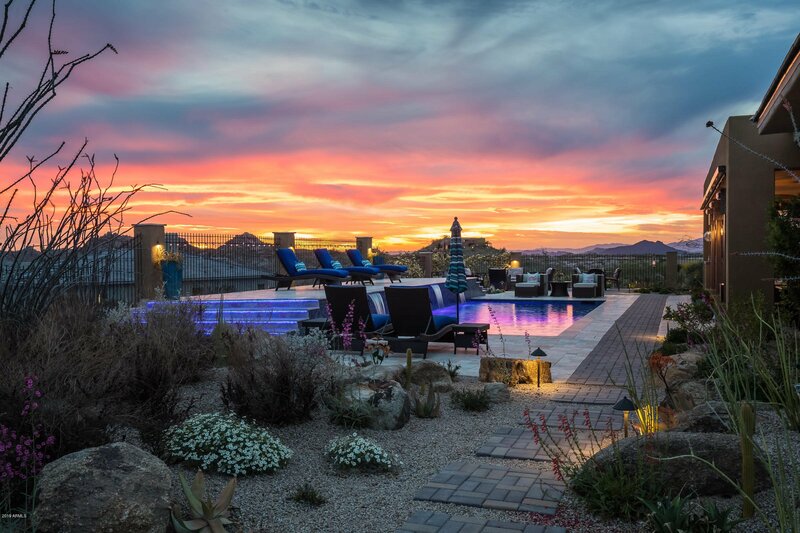 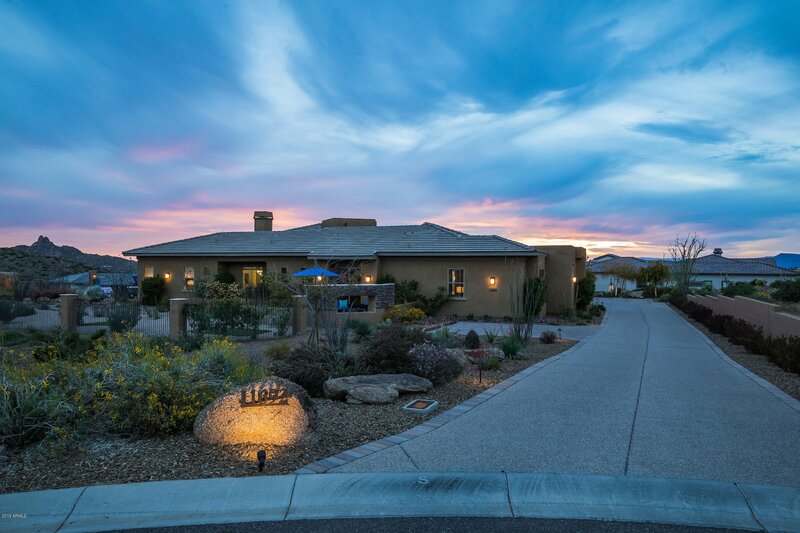 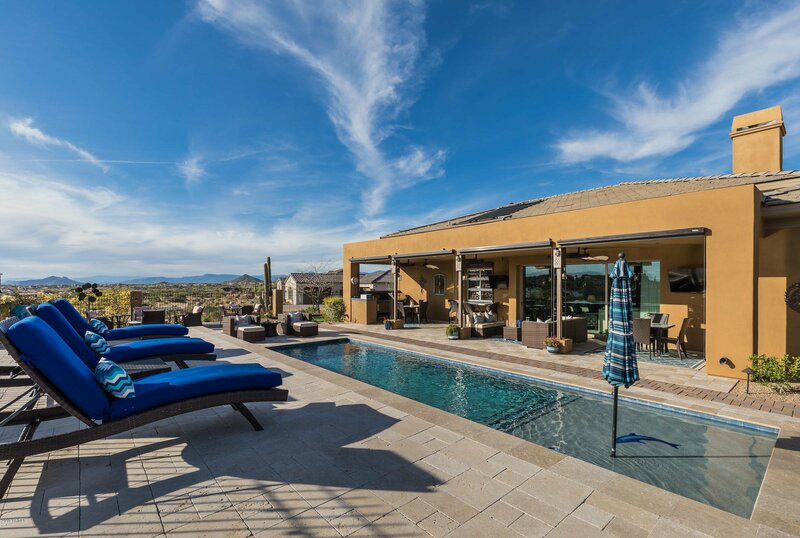 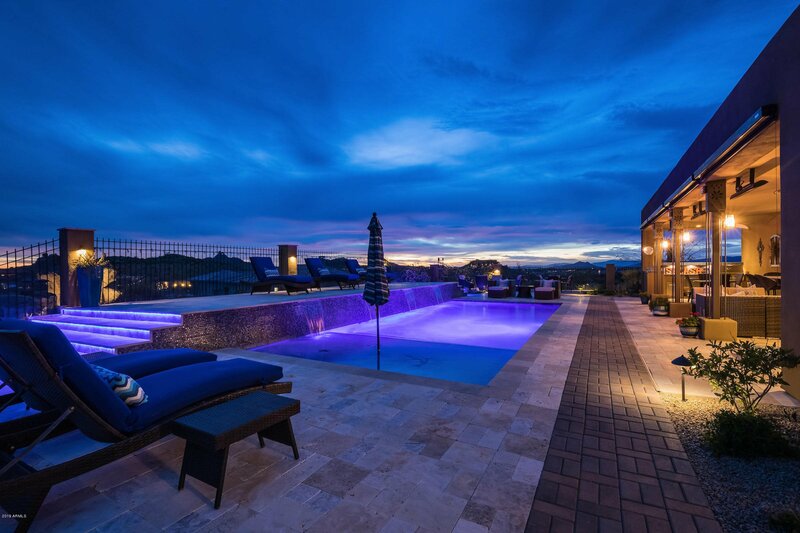 Grab this rare opportunity to live in sought after Talon Ranch, Toll Brothers custom finish level resort style home offering breathtaking views of Pinnacle Peak, Troon Mountains & Arizona sunsets. 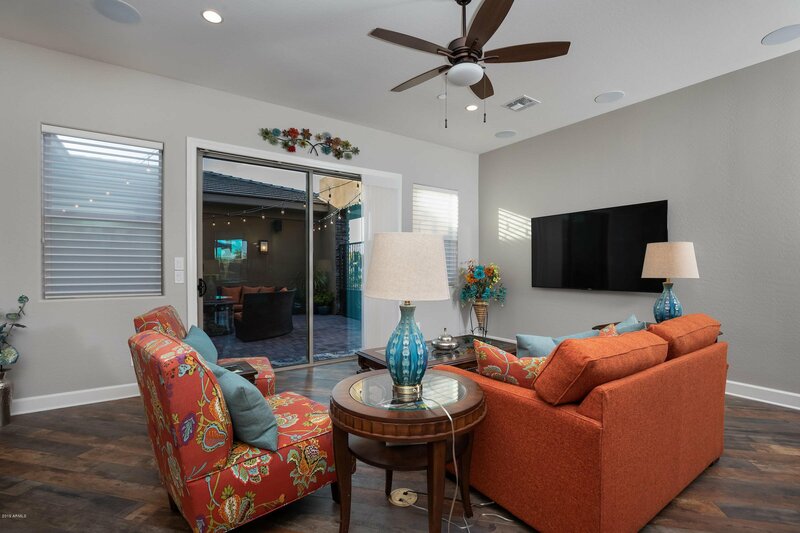 Soaring 12+ foot ceilings invite natural light from the welcoming front courtyard to flow into the well appointed home, offering a plethora of premium details throughout the 3 bed/3.5 bath floor plan with exquisite lighting fixtures & luxurious decor. 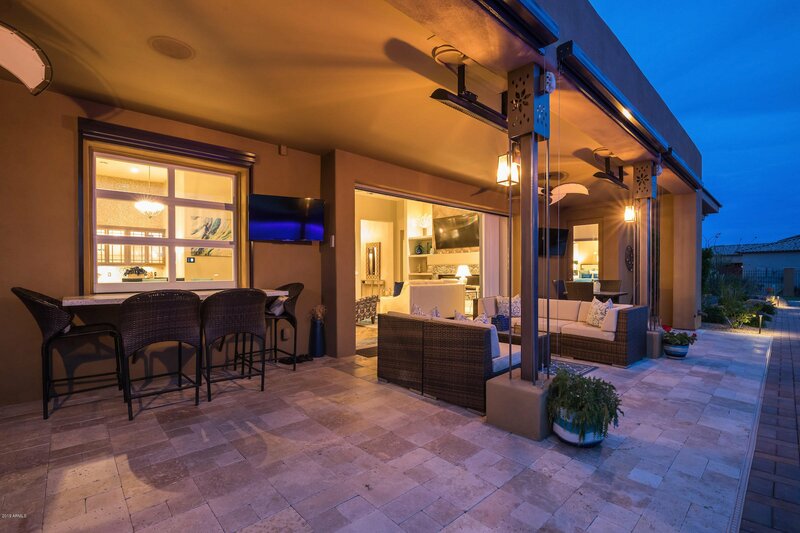 Designed for enjoyment & entertaining, an interior glass garage door opens to a pass-through outdoor bar & is easily accessed from the elevated resort style outdoor living with pool, water features, putting & chipping greens, exterior fireplace, boche ball court & fire pit. 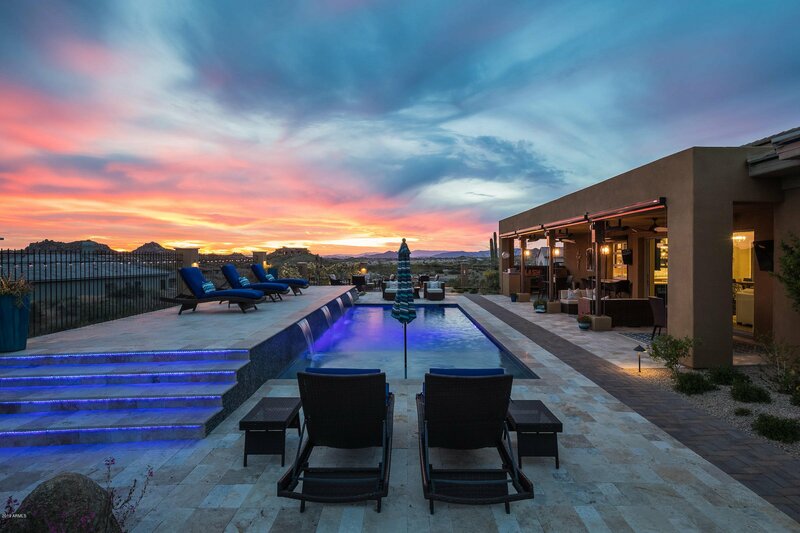 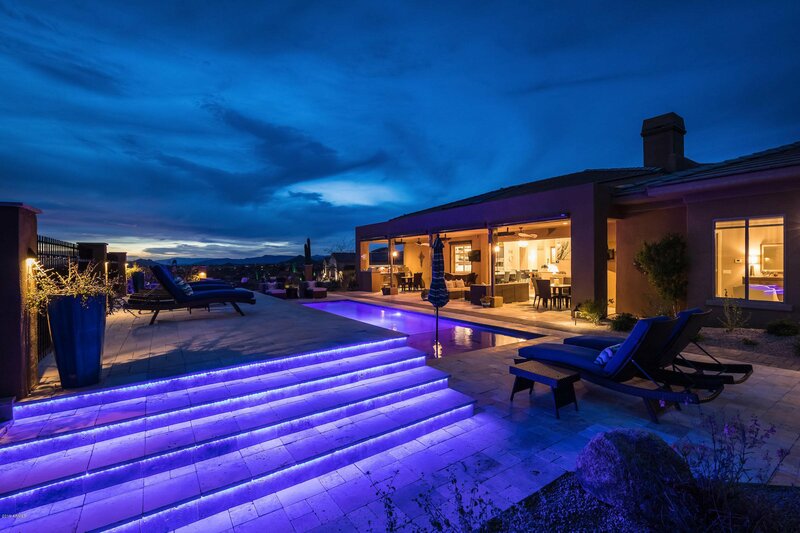 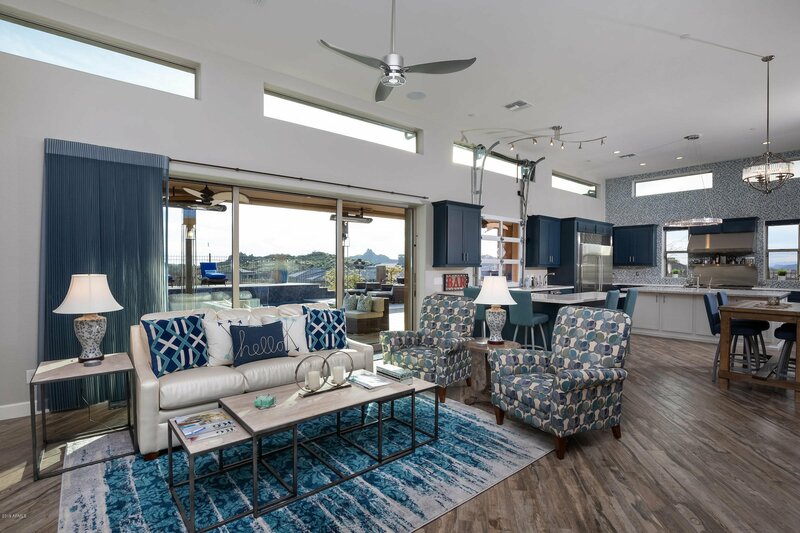 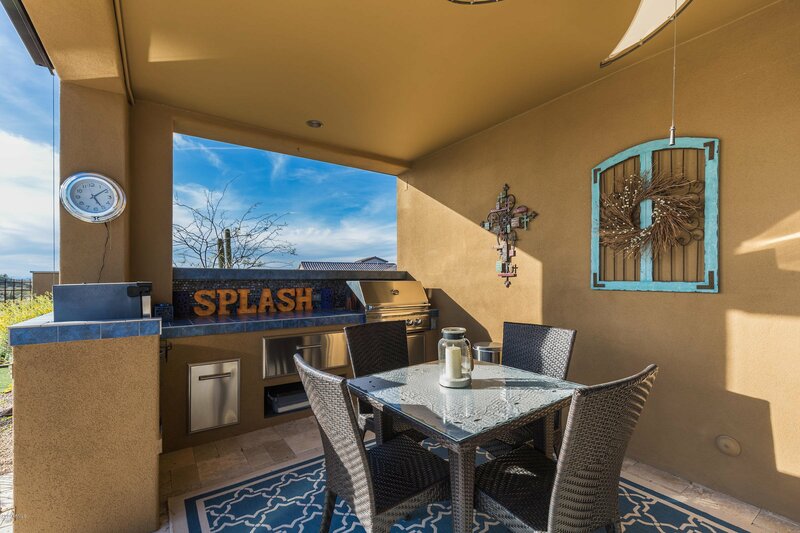 The custom indoor/outdoor bar area with stunning sunset & mountain views is a must for entertaining offering ice maker, wine storage & beverage refrigerator. 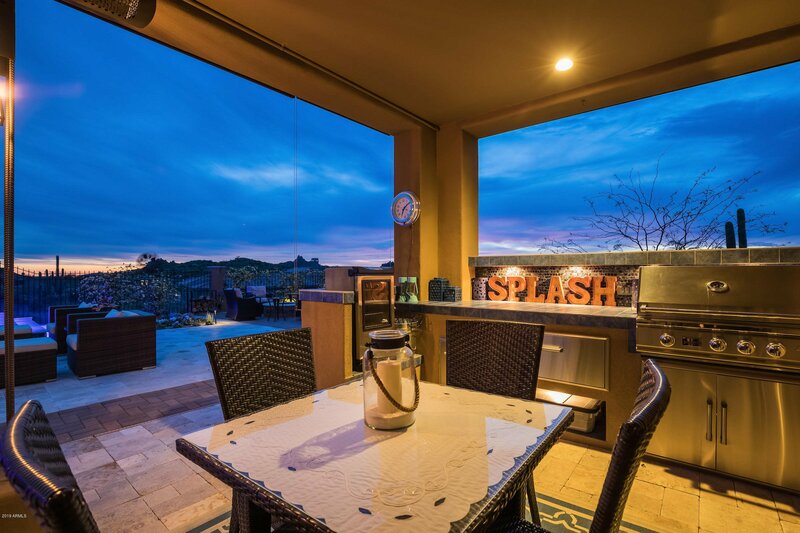 Multiple interior entertaining areas are complete with wine beverage refrigerators as well. 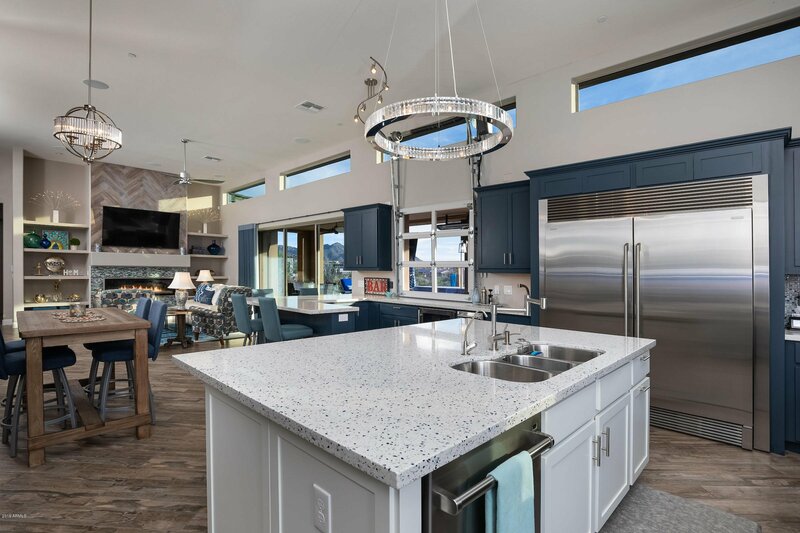 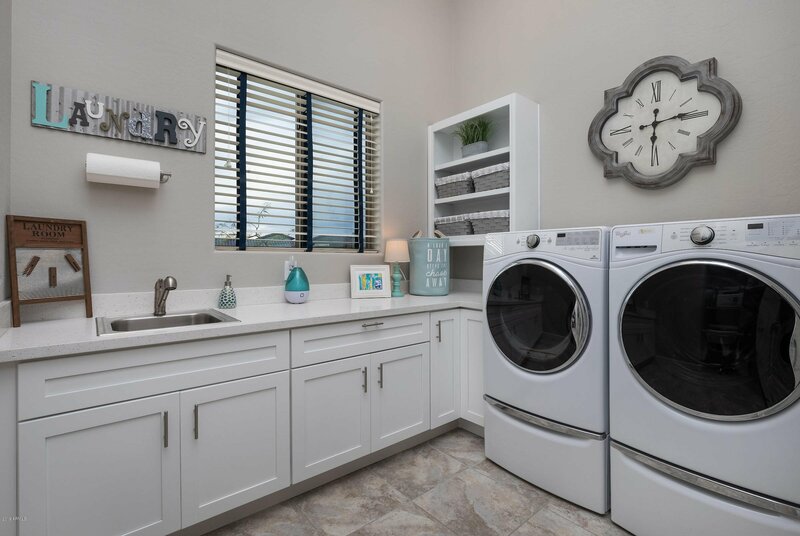 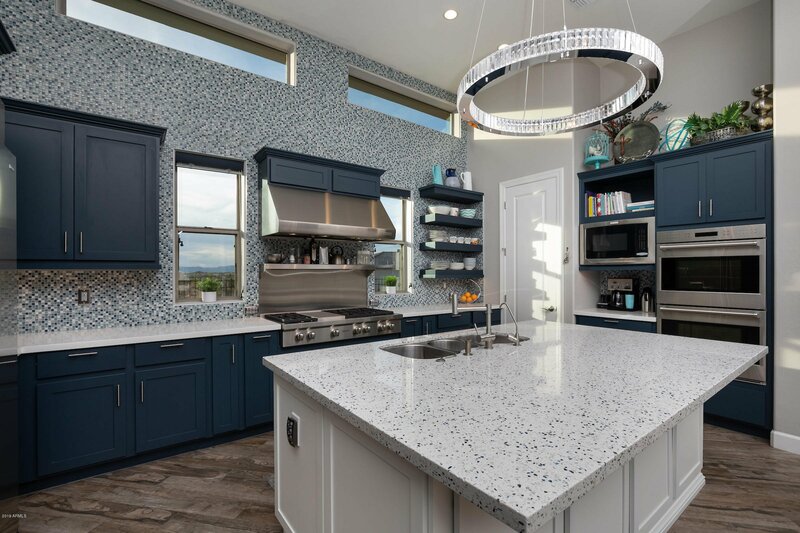 The kitchen is a cook's dream with premium appliances (including Wolf double oven, Wolf cook top, Asko dishwasher, Electrolux stainless refrigerator) & quartz counters framed by custom tile backsplash to enjoy preparing meals for family & guests. 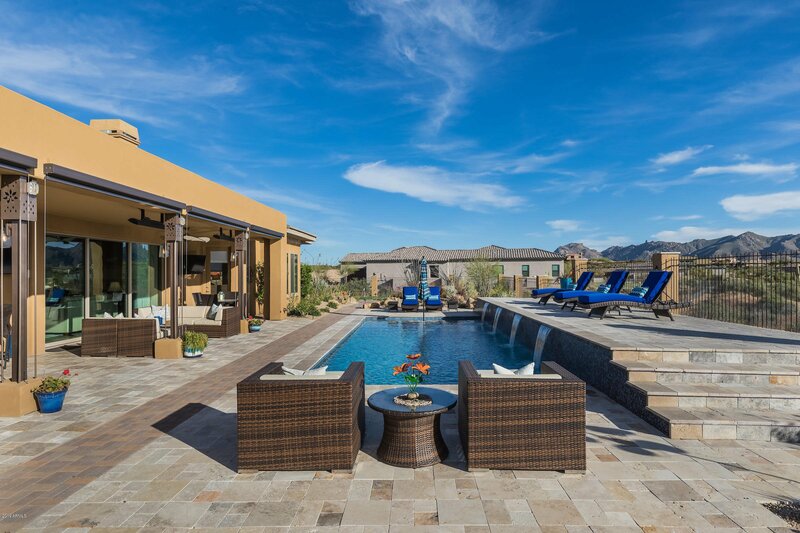 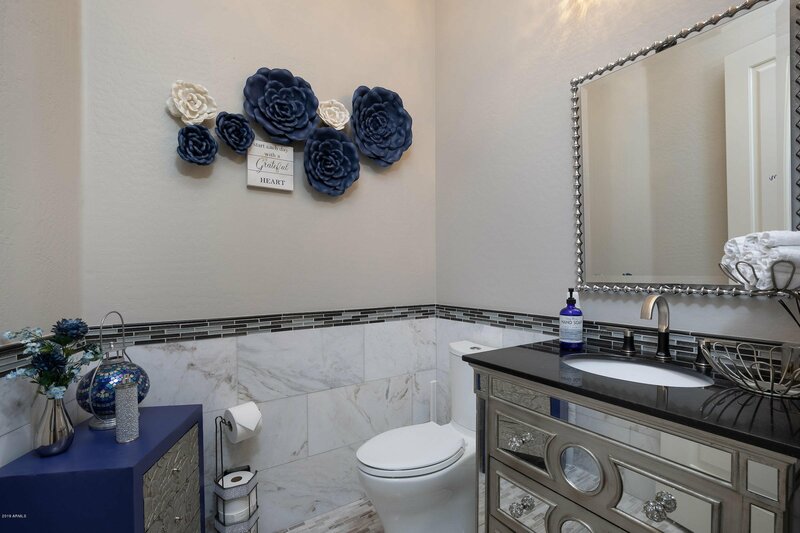 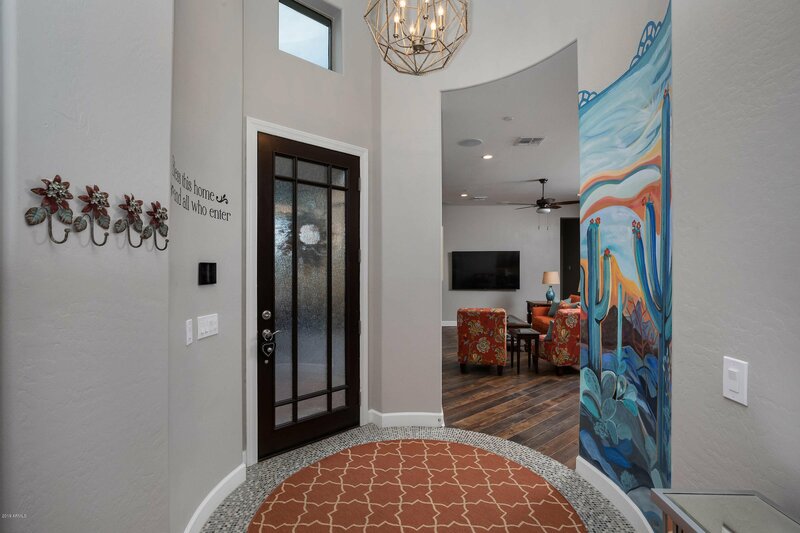 Stunning mountain views continue throughout the home into the master retreat with a spa style bath with free standing tub, large shower & custom tile backsplash. 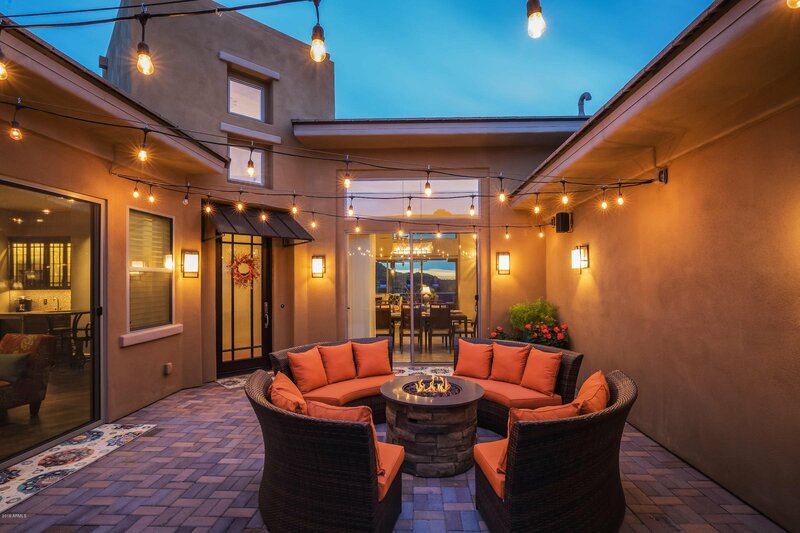 Located on a premium lot, the home was built by the current owner with over $560,000 of upgrades, landscaping, hardscaping & pool. 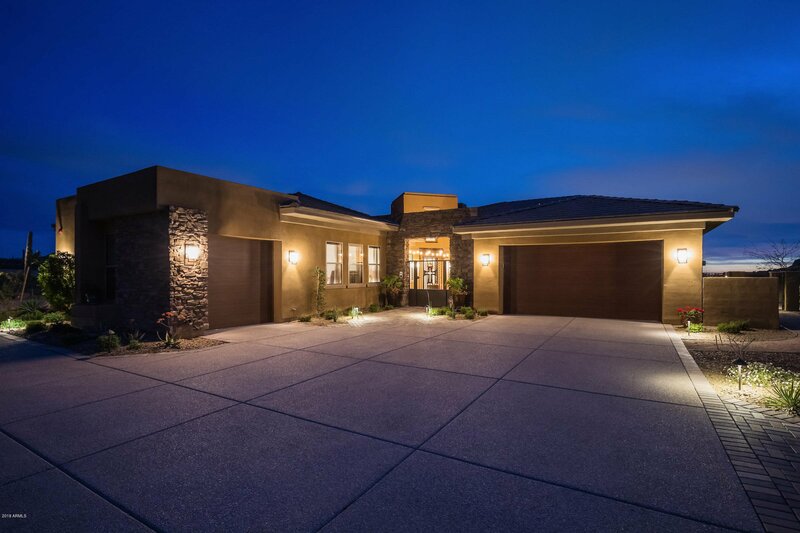 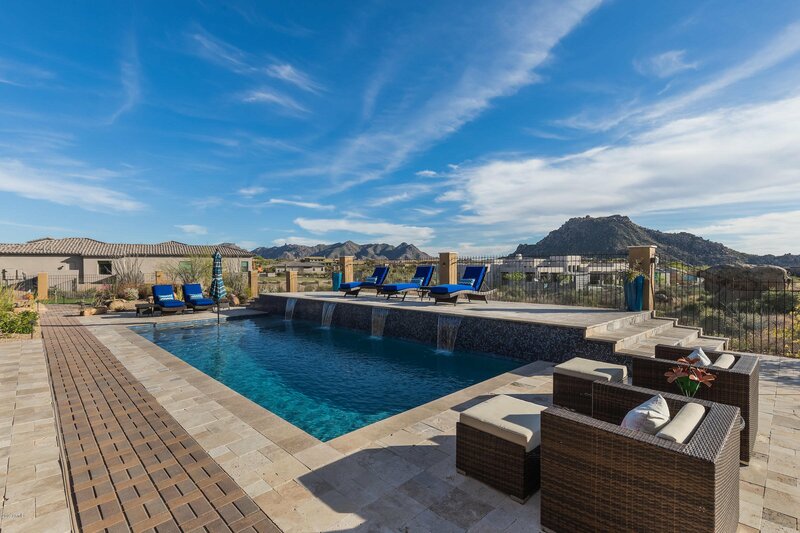 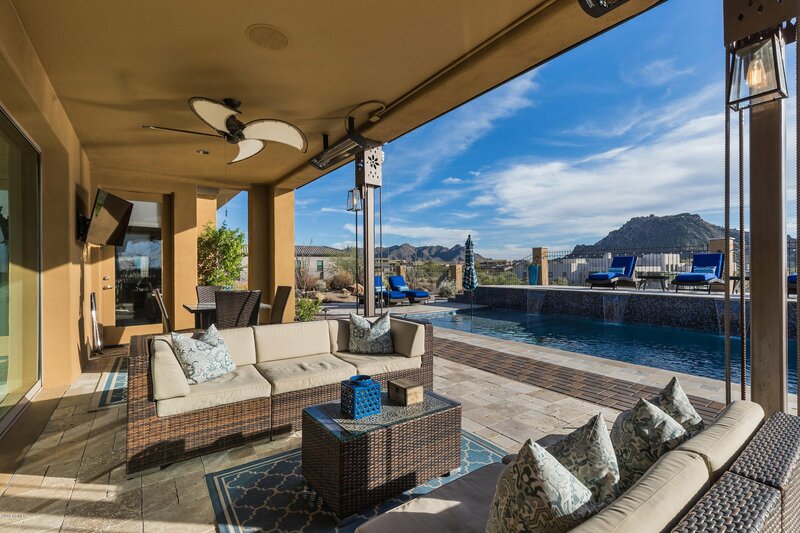 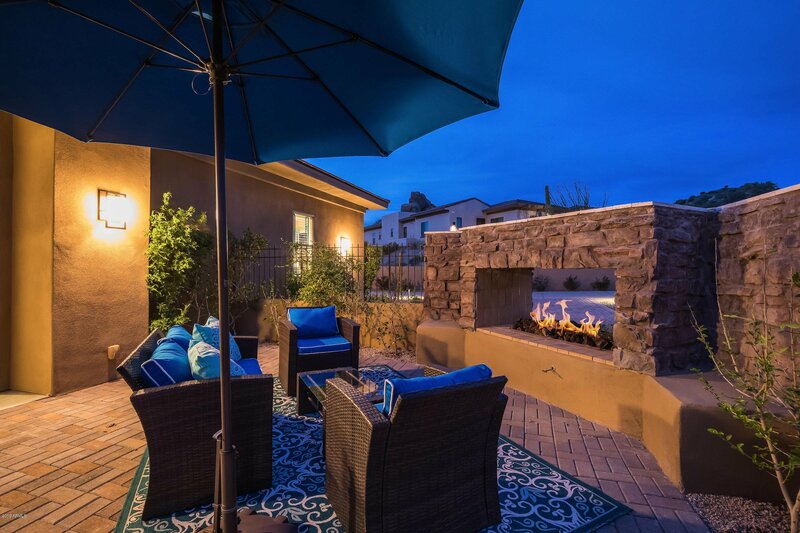 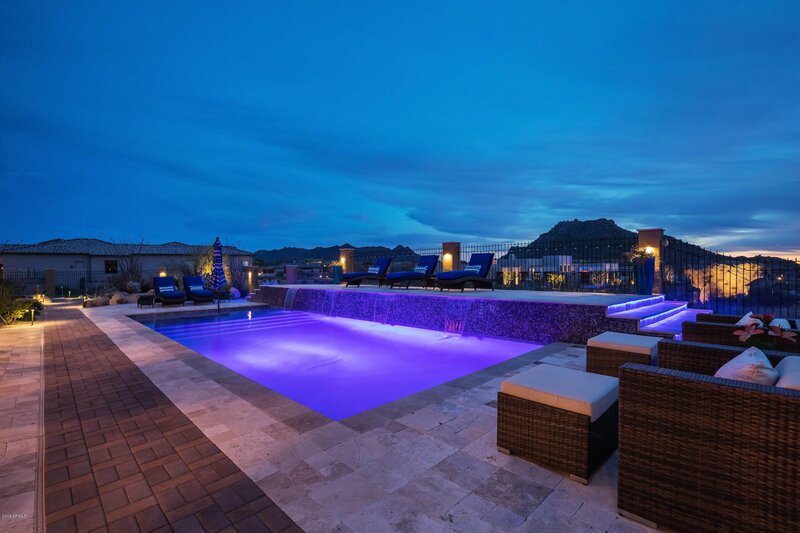 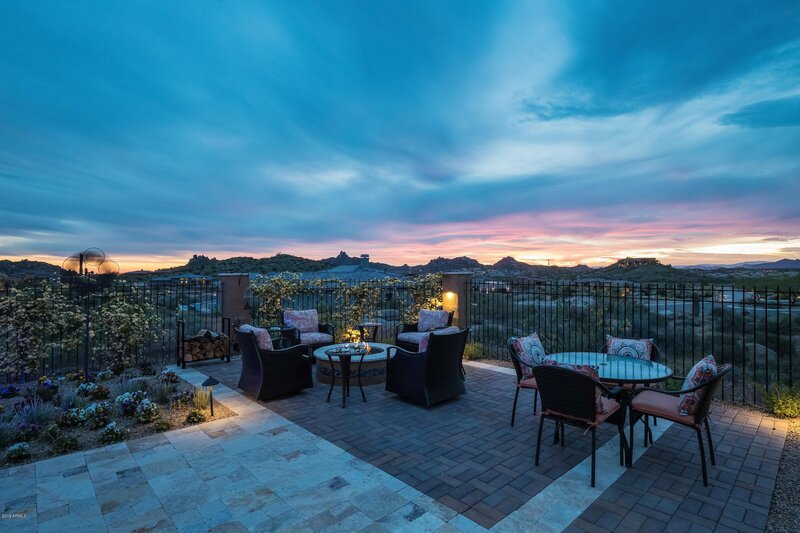 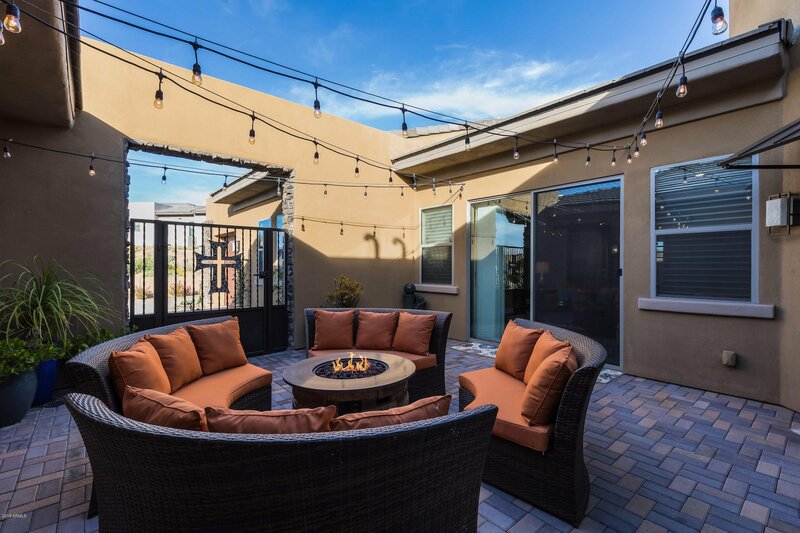 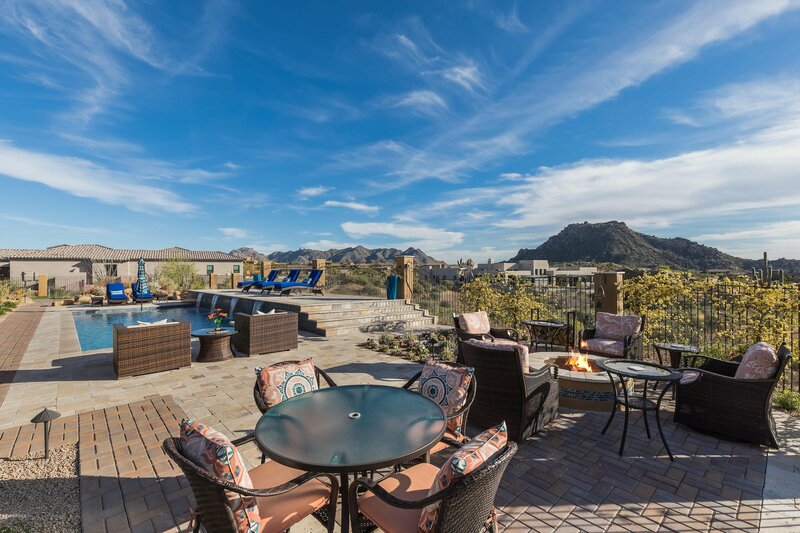 Nothing in North Scottsdale with comparable views & quality finish level in a newer home is available, this is your opportunity to enjoy turnkey resort living!